If you are anything like most ministries and non-profits, you don't particularly enjoy writing your donor letters, and we totally get it! We know that it's not so much that you don't like communicating with your supporters, it's more about the weight of communicating effectively, while still keeping things short and sweet! The struggle is real, and we are hoping to take some of the mystery out of effective communication! ​Before we move forward with this letter I wanted to take a minute to let you know that we think you're doing a great job! We mean it. You and your organization is what we are all about. We want to be partnering with ministries, organizations, and individuals who are committed to their cause. You are the perfect example of this! Great work! Your donor letters are one of the most valuable tools in your fundraising tool belt. In the first installment of this series we addressed how important it is to choose the type of letter you write. We discussed Informational Letters versus Direct Asks. This is the most important part of this series, so if you haven't already read that, read it here now! Today we will be addressing the importance of addressing your readers soon and often in your letters. The most powerful word in any donor letter is "You." ​When you write your donor letter, it might be helpful to think of it as a virtual coffee date with your donor. Get the face of one of your closest supporters in your mind, and write like you're talking to them. What would you do if you were inviting this friend over for coffee to your actual house? Well, first, you would address them directly with an invite. Think of using the word "you" in your first sentence (or even better - the title!) as the invitation to your reader to come on in, get comfy, and catch up with you. When you write as though you are talking about the donor, and not about yourself, it helps them feel involved from the get go. When the reader is welcomed in to your letter, they are more likely to read the entirety of your message. Back to the coffee analogy, after your buddy sits down with you in your favorite place in the house, you might begin telling them about what's new. Well, your letter isn't any different! What we mean by positive enforcement is that you ought to highlight the inspiring, uplifting, and successful areas of your ministry. You can share a story about a family on whose life your organization has had a great impact, or maybe you can discuss the blooming friendships in your ministry's small groups. Shining a positive light on your organization will encourage your donors to give, AND feel good about it! ​In closing, I want to encourage you to spend a few minutes praying about your next donor letter. Ask God to give you some inspiration for drawing your readers in, and praise Him for the ability to be doing your job. Nonprofit, ministry and others-centered work is not easy work, but it is holy and inspired. He is with you, and for you. Blessings, friends! Do you have questions about an informational letter or direct ask? Do you need help proofreading and editing your letter? We are here to help you in ALL of your fundraising needs. Shilo, our Communication Coordinator, is available to assist you with any letter writing needs. Fill out the form below if you would like her assistance, and she will contact you soon! Before we dive in to the dos and don'ts of letter writing later in this series, we need to address the biggest pitfall of donor writing. When writing a letter to your supporters it's imperative that you choose the type of letter you want to write. I know this sounds elementary, but unfortunately it isn't. There are two types of donor letters - an informative update, and a direct ask. The trick is in learning how to write just one of these, and not allow the temptation to kill two birds with one stone distract from the purpose of the letter. When we allow every update, every letter, to turn in to a direct ask, we risk making our supporters feel as though we only value them for their financial contributions. Of course this isn't true, our supporters not only provide financial support, but friendship, accountability, encouragement, and prayer. All of which keeps our ministries and organizations running successfully. So, how do we do this? How do we keep our supporters informed, and aware of our needs if we can't address them both in the same letter? Let's dive in! When planning out a letter you most likely have a game plan in mind. Whether you want to tell your supporters about your newest property updates, or how successful your students were in their last semester of school, or if you need inform them of your significant budget shortfall, you already know when you sit down to write what you need to say. Simply choosing what you want to communicate will immediately make clear what the purpose of the letter will be. "Thanks to you, we were able to send 63 children to school this year. Many of these children have never been to school before. Between school uniforms, transportation and school supplies, most of the families here are unable to afford sending any of their children to school at all. We still have the opportunity to send another 15 students to school this year! If you would like to join us in the effort of bringing the gift of education to these children, please click below!" The above example was deeply informative, revealing the culture of the area being served, and explaining the financial struggles of the parents in the area, while also inviting the reader to make a donation. ​When presenting a direct ask in a letter, it is acceptable, and even expected, to jump in with two feet. As mentioned above, you don't want to cloud the water by adding extraneous information in to a direct ask. Is your transportation budget sorely lacking, preventing you from buying new tires for your ministry's bus? Do you need to raise $10,000 to prevent your budget from being severely under-budget for the year? Are you $5,000 short of completing your necessary property renovations? Okay then, that's totally manageable. Let's get your supporters informed, and then leave it in God's hands. But do not let yourself add a bunch of other ministry updates to this letter. This weakens your ask, by distracting from the true purpose. "Thank you for your support of our Ministry. We are currently $10k short of our yearly meeting our yearly budget, which means we have to suspend our meal kitchen until we have recovered the deficit. Would you consider making a one time donation in addition to your monthly giving, to help us reduce this deficit?" Short and sweet is the name of the direct ask game, friends. The longer your letter, the more distracting anecdotes your throw in, the less urgent your request will seem. Don't allow your urge to show all that is going RIGHT with your organization or ministry sugar coat your ask. That will only prompt the reader to think, "Well, it sounds like they aren't doing so bad after all.." Ah! No! That is one door you do not want to open! What is a Donor Advised Fund??? Allows supporters to make a charitable contribution, receive an immediate tax benefit and then recommend grants from the fund over time. An easy way to think about a donor-advised fund is like a charitable savings account: a donor contributes to the fund as frequently as they like and then recommends grants to their favorite charity when they are ready. Plus the fund can be invested and grow tax free. When people do all of their giving through their giving fund, they accomplish several goals. First, they build liquidity so when a need arises they can access their fund and give. Second, by using this strategy donors can give a lump sum at year-end then carry the balance over to give throughout the next year. Lastly, by doing all their giving through their fund, they’ll receive one tax receipt at year-end. Below, Watch the National Christian Foundations video on "Giving Funds" and then read more from a recent post by William High the CEO of the National Christian Foundation, they're the Pros! The National Christian Foundation does a great job helping donors setup and manage donor advised funds. They are the leaders in this space and have lots of great resources. What is an NCF Giving Fund? from National Christian Foundation on Vimeo. Your 3 Biggest Giving Opportunities Now! It’s February, but December is coming. Did you know that NCF receives more than 50% of its contributions during the month of December? While that statistic is incredible, it actually pales in comparison to what it could be. 1. 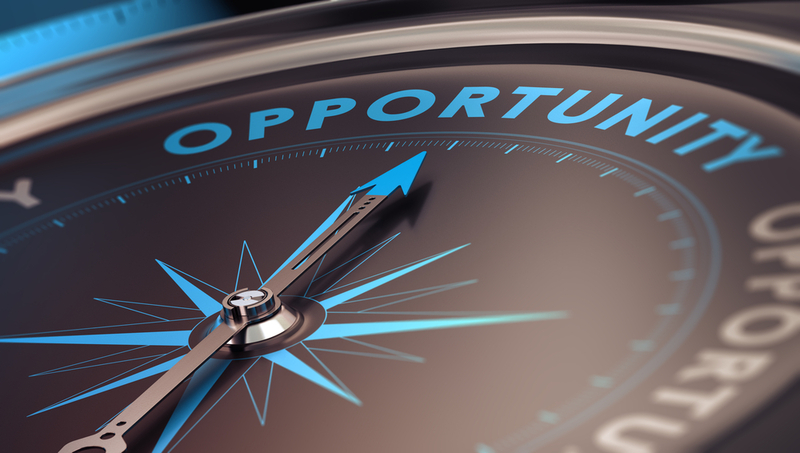 The Business Sale--No doubt the biggest opportunity for more giving is when a business owner is selling their business. At the point of sale, the capital gains tax, as well as income tax liability, are at their peak. Giving a portion of your business’ stock before the purchase agreement is signed can drastically decrease tax liability in favor of more giving. Sadly, many owners contact us too late in the process and end up paying more tax. If you are an owner contemplating a sale, or if you know someone contemplating a sale, now is the time to contact us. Click here for a concept sheet or email Evan Lange for more information. 2. The Business Interest/Real Estate Gift—The government allows you to deduct up to 30% of your income using capital assets. Typically, that deduction can be achieved by using ownership interest in a business or real estate. This gift can be made without an imminent sale. Think of it! Increase your deductions by 30% without using cash! Unfortunately, this type of gift often stalls at year-end because there are several details to address, like getting a valuation. The time to start this process is now. Click on the following links for more information: Business Interest Concept Sheet & Real Estate Concept Sheet. 3. The One Receipt Strategy—The key to increasing generosity is often as simple as creating liquidity. Many people try to manage their giving from their checkbook, where they pay all of their other living expenses. We find that when people do all of their giving through their giving fund, they accomplish several goals. First, they build liquidity so when a need arises they can access their fund and give. Second, by using this strategy donors can give a lump sum at year-end then carry the balance over to give throughout the next year. Lastly, by doing all their giving through their fund, they’ll receive one tax receipt at year-end. Giving is a great way to teach family values. And it’s fun! Here’s a simple idea—take a giving field trip. Pick out a few ministries you’d like to visit and make a day of it. Set up your appointments in advance and try to meet with staff or volunteers who can share the heart of the organization and stories of the people they work with. Let your kids see a different side of the world. Perhaps your day might include visits to a rescue mission, an after-school education program, and a youth ministry. Take some time after your trip to decide with your kids where your family will give and how much. Looking to teach your family about generosity? Check outStories of the Generous Life. 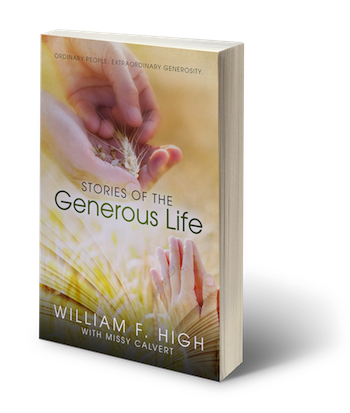 You will find 21 powerful stories of people and families who chose to live generously. Are you interested in building a successful family legacy? We’ve had many people express an interest in how to have a 100-year legacy or more for their family. This is not about estate documents; it’s far more. If you are interested in participating, please email me at whigh@nationalchristian.com. 90% of estate planning fails to create a positive legacy! 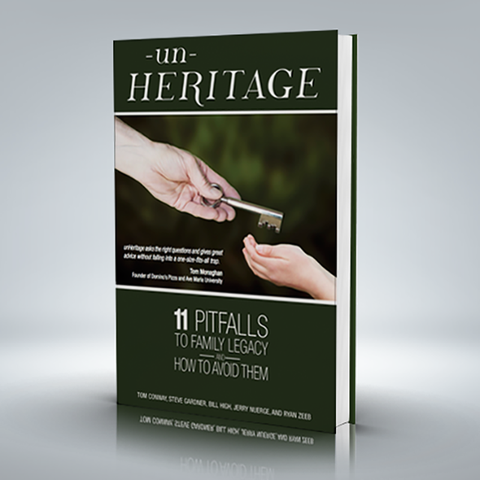 unHeritage addresses 11 issues that stand in the way of creating a lasting legacy. Copyright © 2016 National Christian Foundation, Heartland, All rights reserved. We want to to encourage you where you currently are, and help you pivot in a practical way to grow your financial support at the same time. The form below will give us an idea of where you are in your funding plan, and will give us time to think and plan before we connect with you. As Christmas sneaks up on us, and you attend your final parties and wrap the last few gifts, we want to take a moment to remind you how important it is to respect boundaries. It is easy to feel harried and stretched in a million directions this time of year (especially as someone in ministry... can you say End of Year Update?? Yikes! ), but make sure to pencil in some time to rest. Even our Great Creator rested. As we finish up the season of Advent, take time to still your mind, approach the Throne, and recognize that your days are precious; spend them well. Please read the short paragraph below, watch the video and then respond to the questions at the bottom of the page. We are thankful for you, thankful for your work, and thankful for your heart. You are passionate about your mission: you work hard to serve others and are always willing to give up your own time if needed. To be honest though, you probably work to much. You need a break, you need healthy boundaries in place and you need a hobby that has nothing to do with your calling. As Perception Funding grows and we work with more and more ministries, we see that people following their calling typically struggle to establish healthy boundaries with work and knowing when (and how) to rest. This throws off the balance that must occur with work and family. We have seen this really affect a person's longevity to work for a mission, which in turn effects the impact of their mission as a whole. We want your ministry to be successful; not just tomorrow, but in 10 years as well. In order for that to happen you have to know when and how to have a little fun! So take 3 minutes, watch the video we made below and be challenged and encouraged to find rest. Year-end giving is just around the corner so now is the time to be planning. The IRS says that 40% of all charitable giving happens in the fourth quarter of the year. This means that about a million non-profits, ministries, missionaries are gathering ideas, setting goals and planning right now... are you? This can be a little overwhelming. To reduce the stress of a big plan, organize your plan by the month. Meaning create a to do list for October, November and December. Here are some easy suggestions. Do something that you wouldn't normally do for supporters. - Have 3-5 face-to-face meetings - maybe you'll have to use Skype: that's ok! Share about your ministry over the past year. - Continue having face-to-face meetings. Note: people will get very busy in December and will not be able to meet up. - Begin to write your year-end letter. It should only be one page in length, include a pledge card, return envelope, and should tell the recipient how to give online as well. - Mail your year-end letter between November 24 and December 2. We know some of you only do email and email marketing; sending something snail mail will really make a big difference to your donors! - Follow Up: I never mail a letter that asks people to give unless I'm going to follow up with them. - Again, try to setup a few face-to-face ones but remember that it's a busy time a year so you might have to depend on the phone and email. - Between December 12th-19th send a a 4x6 postcard either of you doing ministry, you and your staff or team, or you and your family. Postcards are cheaper to print because four fit on a single page. Postcards are also cheaper to mail then regular mail, so be sure to ask for postcard stamps when you are at the post office. On the back of the post card have a generic message typed out, "Merry Christmas!! Thank you so much for your prayers and support over this past year. It's an encouragement to have you on our team. If you'd like to make a year-end donation visit https://www.givetransform.org/perception-funding." Use your own wording (and definitely use your own giving link!!!). We've really seen a large rise in year-end giving from following this plan. Some parts seem insignificant but when all put together it becomes an amazing way to keep your ministry in front of your supporters without being repetitive and annoying. Fundraising events are an effectual way to grow your organization in a few important ways. The first thing that typically comes to our minds is the financial impact, which is very important! Fundraisers can bring a great one-time boost in income. However, fundraisers should be more than a way to bring in money. What is more important than that one time boost is the new relationships that will begin because of the event. We believe that the purpose of any fundraising event is to grow your contact base, as this is ultimately how your organization will grow significantly over time. The average event that Perception Funding is involved in with our Ministry Partners raises $20,000 in one-time gifts the night of the event! But what's more, is that an average of $27,000 in new donations is raised over the course of the next year from people who fell in love with the mission at the fundraiser. The purpose of this post is to help you learn how to plan and throw an event that focuses on developing lasting relationships with new donors and not on the one-time funds for the evening. We'll also cover other organizational aspects of putting on a successful event. No matter what event you are putting on, the method of getting people to show up is always the same. If you're putting on a golf tournament you'll need team captains to commit to filling their foursome. If you're throwing a banquet you'll need to assign table hosts to commit to filling their table. The idea here is that you get a lot of people who know and love you and your organization to commit to bringing 8-10 people that aren't supporting the organization (yet!). This is how every successful event anywhere gets so many people to show up and this is how your organization will grow financially from an event. Let's take a look at some numbers: to get 200 guests you'll need to have 30 hosts who commit to getting 8-10 guests. I know the math doesn't add up, but let's be realistic - you're going to have a few host who don't pull their weight. The majority will do a decent job and hopefully you'll have one stay-at-home mom or a retired old man that brings 30-50 friends. 1. Guests get invited with a personal phone call. DO NOT send a group email or mass email, no one responds to those. 2. After they've committed to coming, guests get an invitation or save-the-date in the mail. 3. Guests get a personal email reminder from the Host Coordinator 5 days before the event. 4. Guests get a reminder call or text from their host, not just reminding them but saying, "I'm so excited for this event and to spend my evening with you! See you Saturday!" *Note, the repetition in the process but also each form of contact is also different. Your table hosts or team captains, etc., will need a leader, so you'll want to find a Host Coordinator. - Keeping the master host list up-to-date. At first it’s just adding hosts and making sure all their contact info is up to date: phone, address, email is input into a spreadsheet. - Make sure all the hosts have their host packets and understand their roles. Having a host meeting 8-12 weeks prior to the event will help get things moving. This will build momentum as people brainstorm who to invite and as they see they are not alone in this event. There will be hosts that can’t make it to the meeting so you’ll have to catch up with them and make sure they know what to do. - After the host meeting you’ll need to send out an email to all the hosts every two weeks, encouraging them, reminding them to invite guests and of deadlines. This can just be a done through a quick email. - When the due date arrives for the hosts to turn in their guest info you’ll have to add all the guest info under each hosts name in the spreadsheet. - Then you’ll mail the invitation. You need to know how to print labels from the spreadsheet and don't forget stamps too. - The week of the event you’ll send an email to all the guest reminding them. You’ll also send a separate email to the hosts reminding them to call or text their guests sometime during the week. As part of their responsibilities have every host bring an appetizer or dessert. Be sure to assign host specific things to bring so you don't end up with to much of one thing. Also, the Food Finder will need to organize nice serving platers, plates and other dishes. You want this to look fancy and elegant, you don't want this to look like an old church pot-luck. Ask restaurants or catering companies to donate one specific item. Examples, the Olive Garden has always been generous about donating salad, it's cheap for them to do and they have a ton of it. Chipotle has always been generous about donating chips, salsa and guacamole. Think of restaurants that you frequent, enjoy, are locally owned or maybe a friend that does catering. Most often we can get all of the meal donated except for the meat, which we can usually find someone to cater, grill or smoke it at cost. If you're doing a silent auction you'll need an Item Organizer which is a key role in pulling off this event, you'll learn more about this role in the downloadable timelines below. The 3 key roles (Host Coordinator, Food Finder, Item Organizer) we've discussed in this post all have to be lead by 3 different people for your event to truly be a success. At the same time these three people need to work together and be a team. They are the lead team for the event. The timeline for the event itself is very important to get nailed down, but it is not the first thing to do. One of the biggest mistakes I see Organizations making is spending hours and hours planning the evening it self instead of inviting guest. We've seen so many well done fudraising events fall flat. They had an amazing program all lined up, and you could easily tell they spent a lot of time preparing, but the problem was they didn't have anyone there to see it. A good rule of thumb is that in the first 4 weeks of planning a fundraiser event you shouldn't spend more than 30 minutest planning the evening itself. Trust us on this and everything will come together, it will look amazing, and you'll actually have people there to enjoy it and to give! Here you can download the event timeline and host packet. Please let us know if you'd like more resources as we have so many things that we can share depending on your event. The event timeline is only for the Host Coordinator, Food Finder and other people leading the event. The one attached is for a silent auction as it's the longest and most detailed event to pull off. So if you're doing a banquet, 5k, golf tourney, benefit concert, etc. just delete the silent auction pieces. The Host packet has a small timeline that won't scare hosts away. It includes their responsibilities as host, who and how to invite people and a form to turn in their guest list. Welcome to our launch pad! This is our first step in helping you put a funding plan in place for 2015 for your ministry or non-profit. Please complete the following list of tasks. Within the next two weeks we will send you an email containing a link back to this page with our second step to help you put your 2015 plan in place. Watch the TED Talk posted below. Take some time to really think about and process what the speaker has to say about fundraising and how it applies to your ministry or non-profit. Answer the questionnaire below the video. Begin jotting down some ideas for your 2015 fundraising plan.